Many people suffer from Back Pain. Often a question is asked Which mattress is good for back pain? First let us ask ourselves How do we know if the mattress is causing the back pain? One day you wake up to a back pain. But you stretch your back a little bit and after 30-40 mins the back pain disappears. Waking up multiple number of times or tossing and turning a lot at night. Above symptoms are indicative that you are getting a back pain due to the mattress. Inadequate support from the mattress builds up poor posture, adds strain to your muscles and destroys the alignment of your spine. A too soft mattress or a too firm mattress also cause pain on your mid or lower back. A very soft mattress surface causes the entire back to sink in the mattress, reinforcing too much stress on the muscles and making them sore. On the other hand, too firm mattress does not let your shoulders or hips to sink even slightly, keeping them afloat in turn causing these areas to suffer from pain. A support layer comprising of medium firmness followed by a comfort layer which is relatively softer, balances out the extreme combination. A medium firm layer will support the back and the spinal alignment, while the medium soft layer will provide comfort to your shoulders and the hips so that they sink just enough to provide comfort to these pressure points. 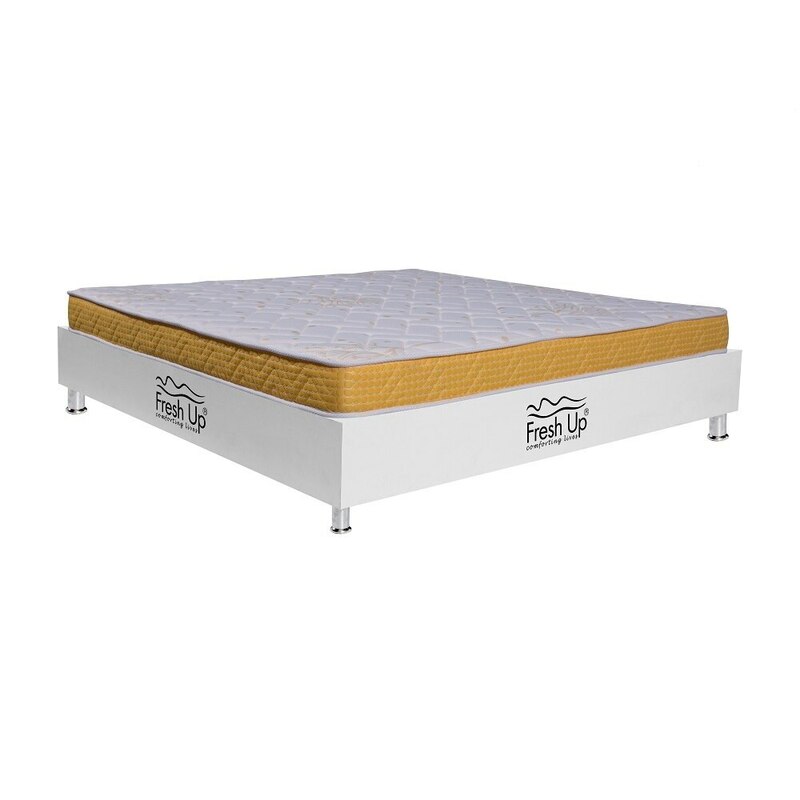 Fresh Up Orthopedic mattress such as Exotica Orthopedic mattress and Boost Up orthopedic mattress are ideal for back pain. They are made of the exact combination as described above.